If you’re involved in commercial property or facility management, you probably know that refrigerants are essential to any HVAC operation. In short, refrigerants are what make air conditioning possible, helping to maintain the delicate balance in your building’s environment, and keep your tenants happy. Contained within the coils of an air conditioner, these liquid agents cool and dehumidify indoor air. Unfortunately, refrigerants also have a large impact on the environment. If you are involved in making decisions about an HVAC system, it’s important to understand your refrigerant options so you can make educated decisions – both for the planet and for your budget. 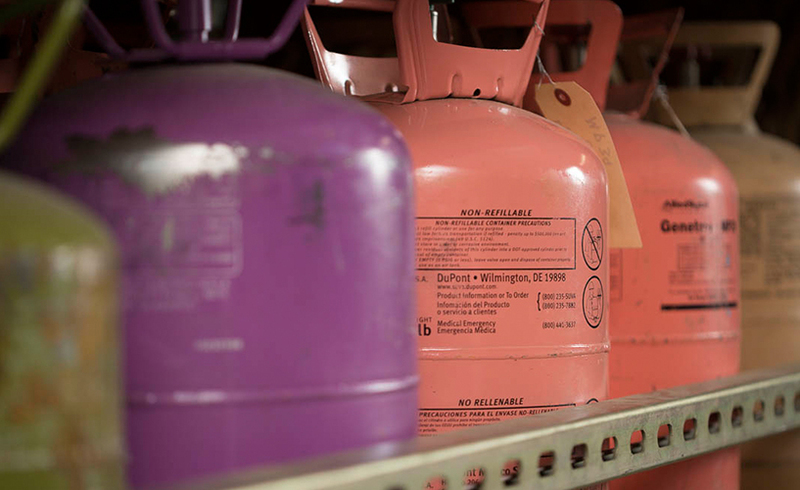 Refrigerants put our atmosphere at risk. 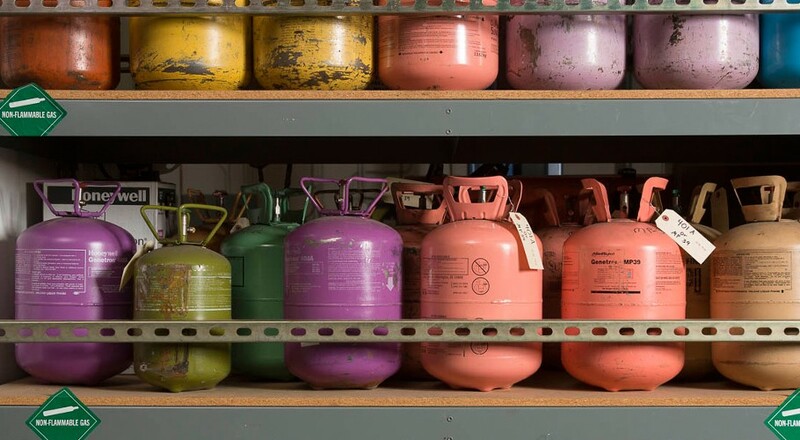 In 1987, researchers concluded that the chemical compounds in our most widely used refrigerants – known as chlorofluorocarbons (CFCs) – are a major source of destruction to the lower atmosphere, resulting in sweeping regulation of CFCs within the market. Research showed that once CFCs reach the stratosphere, the sun’s ultraviolet rays break down the compound, thus releasing chlorine. This resulting chlorine damages the atmosphere in a repetitive process, depleting the ozone layer until the refrigerant is broken down which – in the case of chlorine – takes 2 entire years. This means that the common refrigerants historically used in both residential and commercial HVAC alike put our safety at risk – depleting the ozone that is essential for protecting every living organism on Earth from harmful ultraviolet (UV) rays from the sun. Be prepared for more regulation. Given the negative impact on our atmosphere, radical changes are coming up in the very near future. At the 19th meeting of the Members Parties to the Montreal Protocol in September 2007, the parties agreed to a more aggressive phase down on CFCs in both developing and developed countries. The phase out schedule that began in 2004 called for a 35% reduction in consumption. In 2015 it will be a 90% reduction and by 2030 it will be completely phased out with a 100% reduction. How will this affect your HVAC decisions? The Clean Air Act does not allow any refrigerant to be vented into the atmosphere during installation, service, or retirement of equipment. It must be recovered and recycled (for reuse in the same system), reclaimed (reprocessed to the same purity), or destroyed. In order to comply with the refrigerant stipulations of the Clean Air Act, it’s essential to choose an HVAC provider with service technicians licensed per the EPA’s requirements. Your HVAC provider should reclaim and recover ALL refrigerants on site through the use of recovery equipment, and ship to a reclaim facility for disposal. This heavy regulation of refrigerants will also have big implications for your future HVAC costs. As production continues to decrease based on regulatory limitations, the price of CFC refrigerants will sky rocket. The most common CFC refrigerant on the market, R-22, has already seen its price increase by 120% since 2012 – an amount certain to have cost impacts for consumers given the product’s wide use in package roof top equipment as well as the residential market. Your best strategy for mitigating against these sky rocketing costs is, once again, to find a knowledgeable HVAC service provider who understands and can implement alternative refrigerant strategies. Choose an HVAC provider with a proven history of recovering and reclaiming CFCs for reuse in your system. Additionally, your HVAC provider should understand the benefits of working with HFC (as opposed to CFC) based refrigerants, which are better for the environment and are sold at a very reasonable price compared to CFC-based refrigerants. When should you start looking for the right HVAC provider? There’s no time like the present. At the very least, you should make an informed decision about your HVAC provider the next time you need to replace your equipment. The useful service life of most HVAC equipment is 15-20 years. It is highly recommended you carefully consider your options for repair and/or replacement if your equipment is within this window. When it’s time to replace your equipment, ensure that you’re working with an EPA-certified HVAC provider, that they have experience with refrigerant reuse, recycling, and disposal, and that they can offer an alternative to the harmful CFC compounds of the past. Interested in learning about Reitmeier’s approach to HVAC replacement, repair, and maintenance? Click here to read about what we do, or request a quote for more information.